After training as a photographer, Martina Sauter (*1974 in Konstanz) has studied at the Kunstakademie Düsseldorf, in the class of Thomas Ruff. 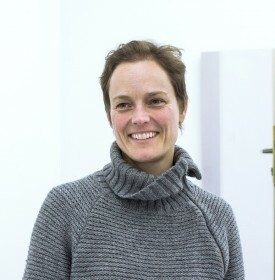 Her solo exhibitions took place, among others, in Foam Photography Museum Amsterdam, Kunstverein Konstanz and Kunstverein Bochum. In her work, she collages film stills and her own photographs into curious interior spaces.